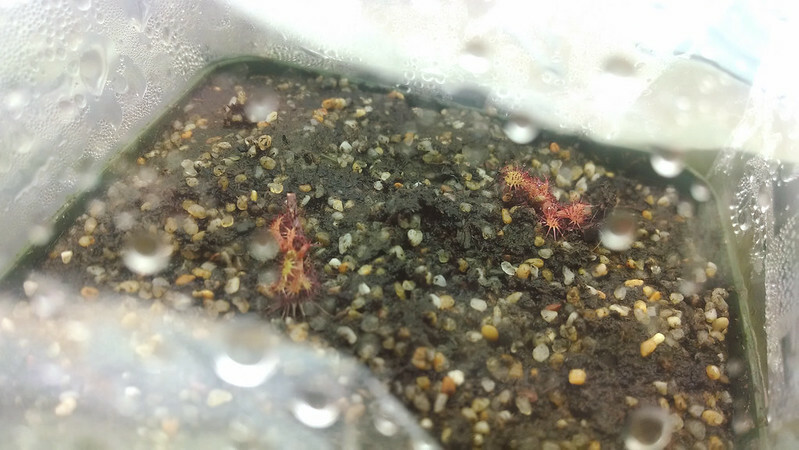 Some progress on Drosera anglica CA x HI |Sundews Etc. 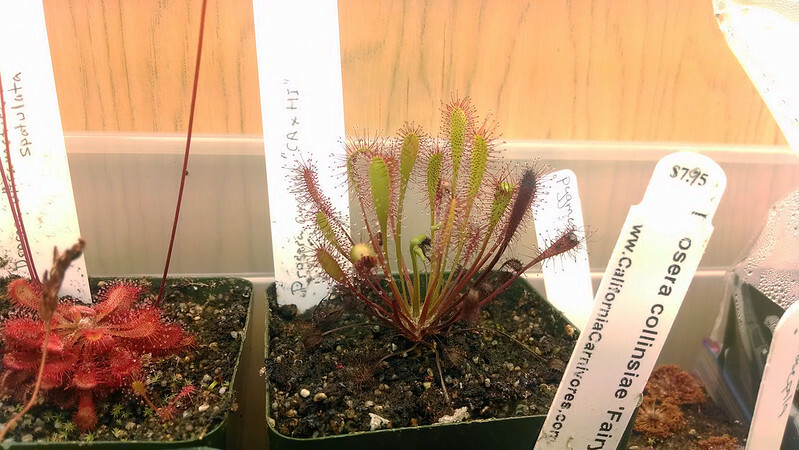 Drosera anglica CA x HI on May 22nd, two days after feeding. What makes D. anglica CA x HI so exciting? Well first of all, it's a very handsome plant, with long, upright petioles, great coloration (it turns deep red when fed less often, but I love feeding my plants), and lots of dew. It's also special because of its lineage. D. anglica comes in two forms in the wild, a widespread temperate variety that's found in England (thus the name), continental Europe, North America, and Japan, and a tropical variety from Hawai'i. The going theory is that birds unwittingly carried seed to the remote Hawai'ian islands, and some of that seed was able to withstand never going dormant, so it wound up producing a tropical population. Weird! Anyway, the temperate forms tend to be larger, greener, and need a dormant period. The tropical form is smaller, redder, a bit more delicate, and, well, tropical. The prized CA x HI form is a hybrid of plants from California and Hawai'i, and is bigger than the tropicals, redder than the temperates, and requires no dormancy. It's really the best of both worlds. D. anglica CA x HI, July 7th. Check out how much larger it's gotten. That's regular feeding for you! 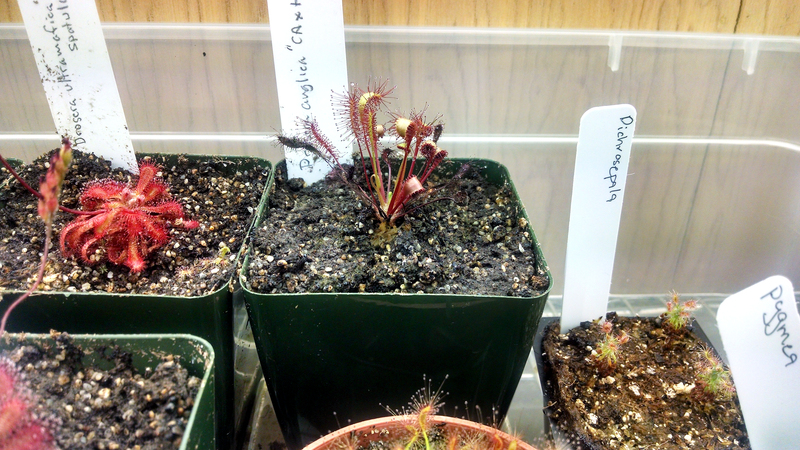 Also, I mentioned in a recent post that I had started some cuttings, but wasn't able to get pictures of the strikes. A week later and they are totally exploding. These leaf cuttings are going nuts. I've started hardening them off, and hope to start feeding soon. I'm definitely going to keep propagating – this plant is too vigorous and lovely not to share.